We are just 80 days away from Star Wars Celebration Chicago, where everyone expects to see a lot of footage and learn new info about Disney’s upcoming Star Wars projects, especially the closing chapter, the grand finale of the Skywalker saga – Episode IX. In recent months, Richard E Grant, a newcomer to the galaxy far, far away, has been one of the few sources for little bits of information about the movie. Now the actor gave another hint in an interview about the character he is playing in the film. This article had a different title, which was a bit misleading so we changed it. 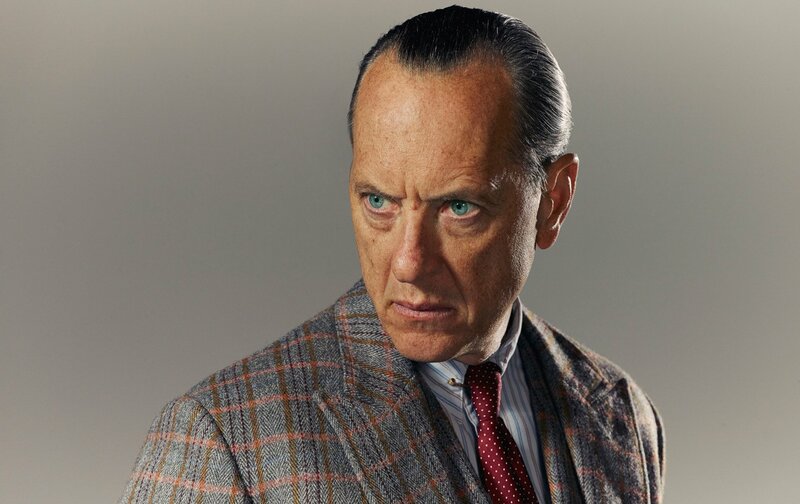 It was “Richard E Grant Hints He is Playing a Familiar Character in Star Wars: Episode IX“. I am all to be blamed here. I read a little bit too much in Grant’s comments and saw something that isn’t there. I agree with some of the comments that Grant just expressed his excitement when it was revealed to him he will be in Star Wars. And the way he expressed that he “thought” Abrams told him his character name really shows that it doesn’t matter what that name is to him. So apologies for the confusion. There still maybe something here but I don’t want to raise people’s expectations and mislead them. Let’s move on. First, let me remind you that a few months ago Grant was a guest on Josh Horowitz’ podcast Happy, Sad, Confused, where the actor gave brief details about his audition for the movie and his initial meeting with J.J. Abrams about the role. Back then Grant revealed that he auditioned together with Daisy Ridley and that they used a 10-page script of an interrogation scene clearly set in the 1940s. This made a lot of us to speculate that he will be most likely playing a First Order officer who will probably interrogate Daisy Ridley’s character Rey at some point in the film. And at this point the room went upside-down and I’m sure he was telling me in detail what part I was playing and what the character is called. When Grant arrived he was ushered into a room with Abrams and the new trilogy’s heroine, Daisy Ridley: “Surrounded by all this Star Wars memorabilia going back to 1977. And within about two seconds, he said, ‘Are you gonna do it or not?’ And I said, ‘Do what?’ Then he described the part, and I think he told me what my name was, at which point the room went upside down. In what appears to be a degree of physical discomfort, Grant stops himself from saying anything more. In the grand old Star Wars tradition, the entire cast has been sworn to secrecy, at least until the trailer and title of the forthcoming Episode IX are revealed in April. As you can see in the first interview, Grant revealed that “the room went upside down” while stopping shy of revealing what his character will be called. In the new interview it seems the main reason for this excitement was actually the name of the character, which led us to believe that he will be playing a well known character from the Star Wars universe. Of course this doesn’t necessarily mean that we met his character before. It could be just someone related to someone we know. 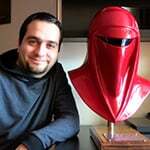 It’s worth mentioning that after the first interview from a few months ago, many fans speculated that Grant could be playing the movie version of Grand Admiral Thrawn, a Legends character that was revived in the new Star Wars canon with his appearance on Dave Filoni’s animation show Star Wars Rebels, and a few new canon novels by author Timothy Zahn, who introduced the character back in 1991 with his Thrawn trilogy. Even though the actor liked a few fan tweets with this speculation, later during an interview with Radio Times, Grant directly stated that he is not playing Thrawn in Star Wars: Episode IX, squashing all rumors and speculations. 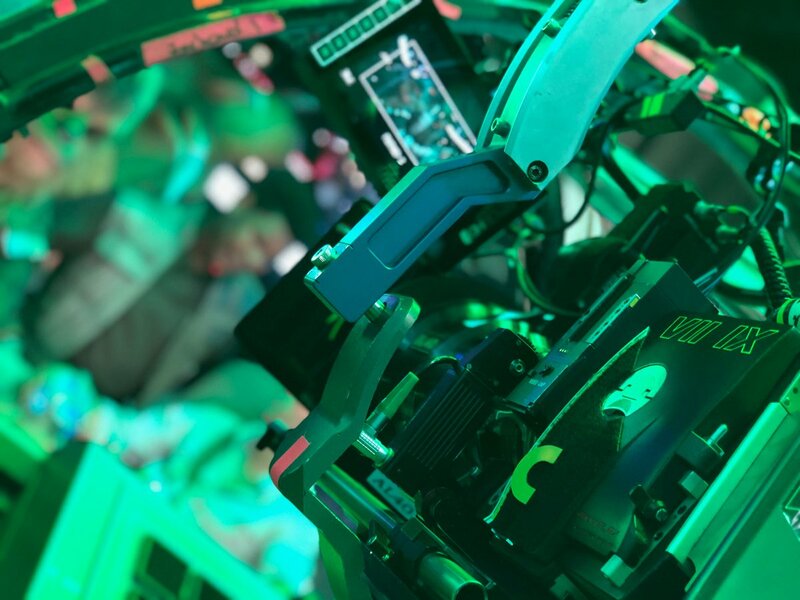 Star Wars: Episode IX is in its final stages of filming, which could soon lead to a title reveal and more details about the movie. The movie opens in theaters on December 20, 2019.